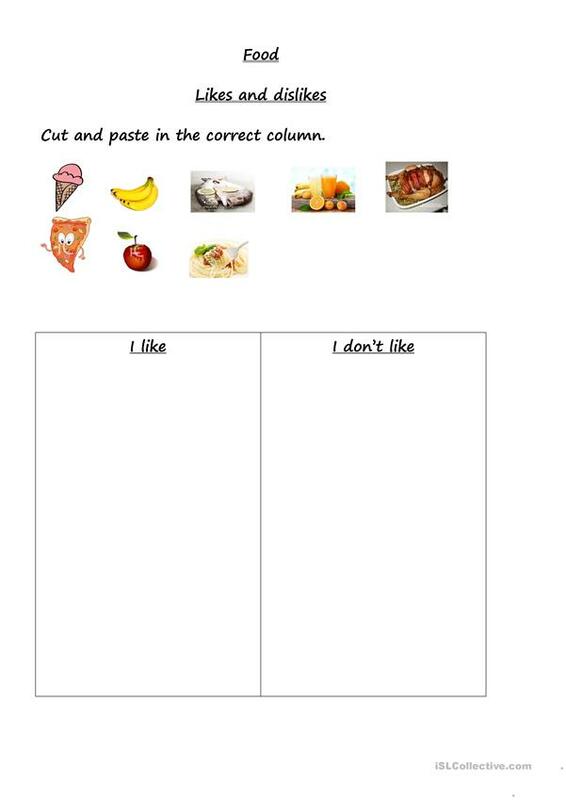 A worksheet about likes and dislikes. Students can cut the pictures and paste them at the column they prefer. Then they can practise the rhyme. The above downloadable handout is intended for elementary school students and kindergartners and nursery school students at Beginner (pre-A1) and Elementary (A1) level. It was designed for working on your pupils' Speaking skills. 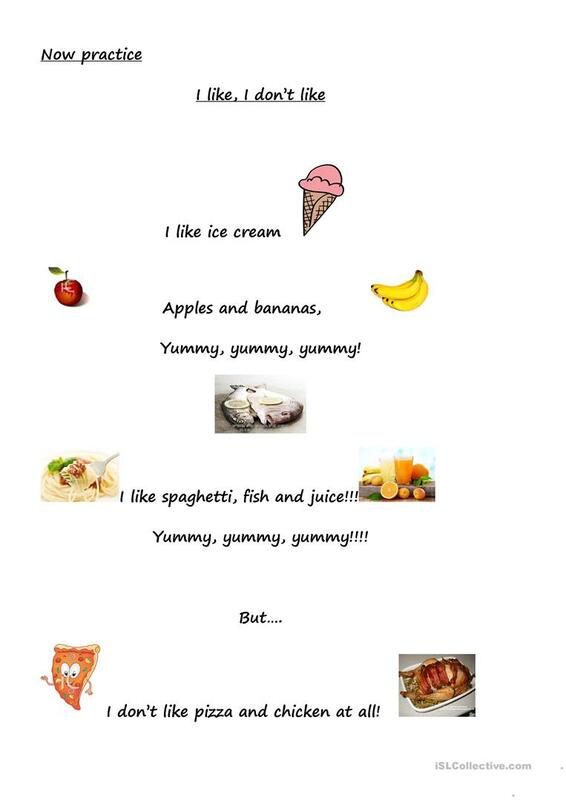 It is about the topic and words of Food.